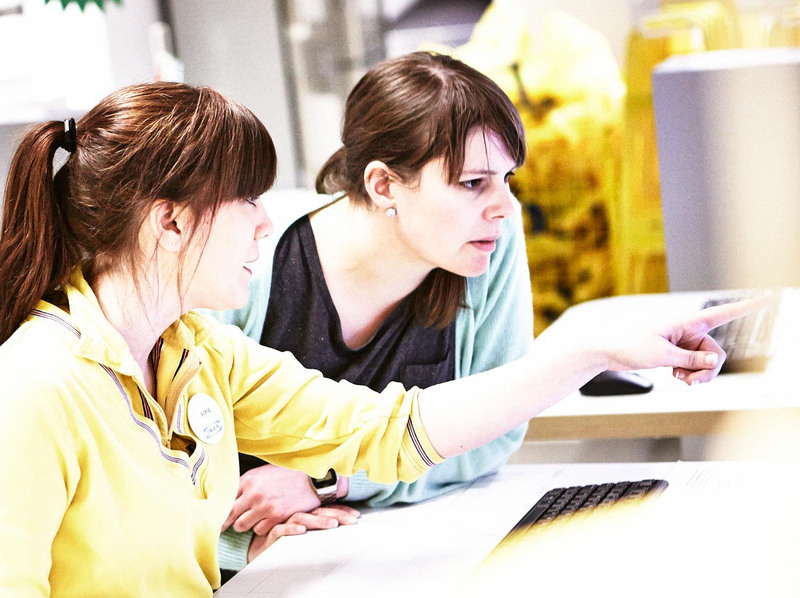 How does an international organisation like IKEA approach the development of e-learning? For large companies and organisations it is interesting and important to have e-learning in their training curriculum in order to train staff and employees. This way companies can make sure everyone has access to the same knowledge and information. Some companies have already been working with e-learning for years, other companies have just started. What we wanted to know is: how is the design and development of e-learning organised in a large international company like for example IKEA? There are different ways to attain a mix of e-learning and blended learning for training. Organisations can purchase e-learning modules already made by third parties, but since knowledge is specific for each industry and organisation it is necessary that fitting e-learning is developed. This development can be done by external companies or by in-house specialised employees or teams. Apart from the development of e-learning it is also crucial that e-learning is implemented in the right way. It has to be supported, both by staff and management. Employees have to know what is expected from them. Like all changes such a complex process has to be directed thoughtfully and with a plan. We, Yolanda Vrolijk and Jeremine Holt, both professionally working as e-learning developers, have been looking for a large company that is already ahead in the field of e-learning so we could ask our questions about development and implementation. Ikea is such a company. IKEA has locations worldwide and Ikea’s motto is: ‘To create a better everyday life for the many people ‘. This applies to their furniture, but does it also apply to their e-learning? We already knew that at IKEA e-learning was being used and developed and we were very curious about how e-learning was made and to what extent it was successful. In Delft there is the International Training Center for franchise holders and in Malmö at ‘Range and Supply’ many learning activities are being developed. 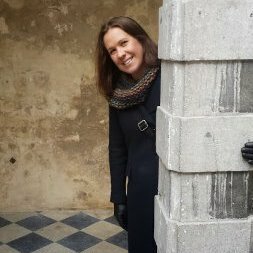 We have interviewed two e-learning developers/instructional designers.Cristina Niculae from Malmö has answered our questions through Skype and Charlotte Gustafsson from Delft has answered our questions in writing. It is just a sneak preview, but it still gives a good insight in e-learning at a large company. How tricky it can be, how great it can be, how many people contribute in developing e-learning and how they do it. What is going well and what difficulties did they encounter. And that in the field of e-learning you are never finished, that there is still so much to explore, achieve and do. IKEA is a value-based company with a passion for life at home. All products they design are inspired by the idea to make life at home even better. IKEA’s website is extensive. It has furniture (of course! ), but also a section on what it is like to work at IKEA. The website radiates positivity. They are result oriented, cost conscious and innovative. Out of the box thinking stands high on their agenda. The core values of Ikea are: not too many rules, a flat hierarchy, care for each other and flexibility. That means simple, efficient and cost-conscious thinking and doing. Low prices are part of the concept. No luxurious lease cars or expensive suits. Their vision is to create a better everyday life for as many people as possible. On the Human Resource part of the website they say that they offer the opportunity to grow to honest, down-to-earth people. Individually and in their work. The people can grow within their role but also move ahead to a next career step. So the co-worker can grow horizontally and vertically within the organisation. To help employees grow within their role or their next career step they are being supported through coaching and develop opportunities like workshops, e-learning, training, project-based opportunities and exchange programmes with other countries. As a worldwide retail store with over more than 155,000 employees, 387 stores in 48 countries, a range that consists of 10,000 products and an annual turnover of more than 32 billion euro’s. We wanted to know how e-learning is developed and implemented at IKEA. Cristina Niculae is a Communication and Learning Lead employee of the Division Business Solutions Range & Supply in Malmö, Sweden. We have interviewed her through Skype. We wanted to know how e-learning at IKEA is being developed, if they hire external companies for creating e-learning, which features play a role in the development and implementation of e-learning, how the vision of IKEA is incorporated in the e-learning and which tools they use. We have included this Skype interview as a video in this article to show the expertise and enthusiasm of Cristina. Apart from Sweden, there is also an important training centre of Inter IKEA Systems B.V. in Delft, the Netherlands. Charlotte Gustaffson is working there as learning designer. She has answered the same questions we asked Cristina. First we wanted to know the size of the e-learning team she works with? She explained that they do not have a team working specifically on designing e-learning. There are 4 learning designers and one learning user experience designer that work with different learning formats. They work together with the divisions IT, SMEs (Small and Medium-sized enterprises), Learning developers (project leaders) and Learning delivery responsibilities with contacts in the business and Learning planners/administrators. Naturally the strong IKEA vision is also applied in the development and use of e-learning for their co-workers. They aim to strengthen the IKEA culture and core values with their learning solutions in addition to increasing competence. When designing each specific learning solution they combine the HR idea and the learning approach simultaneously. The overall goal is of course to ‘create a better everyday life for the many people’. There are several types of e-learning IKEA uses within the organization. A few traditional e-learnings, learning nuggets (standalone mini learning activities) and simulations. For the development, Ikea uses the Claro authoring tool and Cornerstone on Demands LMS. They also distribute learning nuggets on a Sharepoint platform. Cristina does not have a favourite tool but she wishes for a really good LCMS (Learning Content Management System) with seamless integration with their intranet or the IT tools that their co-workers use. At this point the people are using the e-learning modules either self-paced or as content in face-to-face sessions in groups. The team always tries to find new and better ways to reach out to all our co-workers with learning. There are many new devices to use now and they are investigating the IT and people capabilities that are needed to use new devices and channels, for example VR (Virtual Reality), beacons, co-creation platforms, mobiles etcetera. They have put more focus on this now due to great expansion plans and a reorganisation which also means a much larger target group for Inter IKEA Systems. And in the future the e-learning team would also like to reach out digitally to the global consumers, but they are still investigating the best channels to use. We wanted to know how Charlotte, at this point, thinks they have been doing at developing e-learning. It is not an easy question to answer because IKEA systems do not have a strategy for digital learning so far, so there has been no direction stating the benefits of digital learning. This means that it has been quite challenging to get the right investments and capabilities in place in terms of IT tools, network capacity, standards and mobile devices. Easy access and critical content is crucial for digital learning. Create secure responsive content so it can be used on mobile devices which makes it a lot more flexible and increases the possibility that it is being used. Enable co-creation and co-curation (makers movement). How is the design and development of e-learning organised in a large international company like IKEA? We have come to the conclusion that at IKEA they are also still investigating the best ways to get people to learn digitally., through PC, social, apps, beacons, and so on. The authoring tool Claro has not been used for a long time and the advantages and disadvantages of it have yet to be encountered. According to Cristina, the e-learning designers at IKEA do not have separate tasks within the team but each member is doing everything from beginning to end. This we found surprising since we know that other companies have different roles within their e-learning teams. E-learning is still in development and far from ideal. This is not surprising looking at the many target groups, growth, reorganizations and the technical developments of digital learning. So also at a large company like IKEA, with many years of experience in the development and implementation of e-learning and creating e-learning with specialised e- learning teams, they are still searching for the best ways of learning for all their employees.